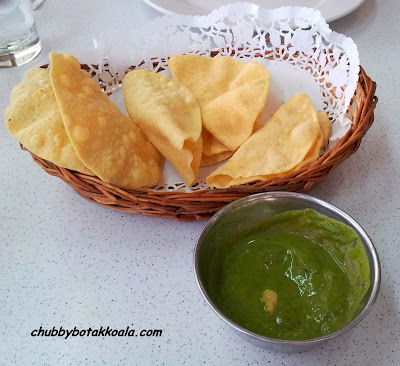 To start the meal, we were served free of charge appetizer of Papadam with green colour sauce. The sauce has a light peppermint flavour, later on I found out the sauce is one of their specialty chutneys. 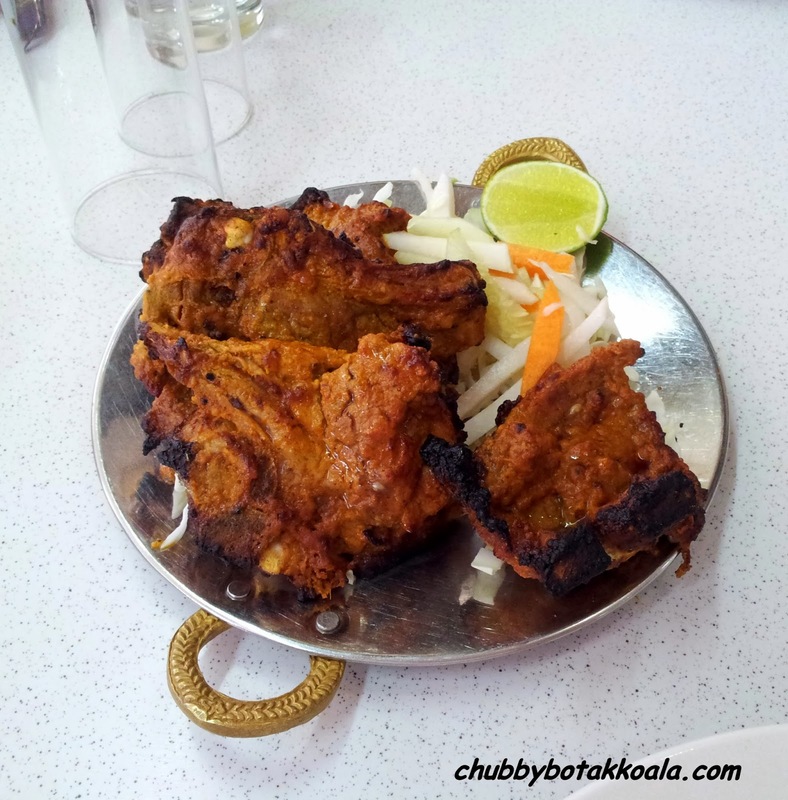 Lamb Chop Kebab ($24.90) - In a tradition of North Indian food, Tandoori or kebab will normally be serve as entrée. The lamb chop is well seasoned as you can taste the flavours inside through the meat of the lamb. Unfortunately, the seasoning does not help to tenderise the meat, it is though and chewy although we ate the the lamb chop while its hot. It should be called mutton chop instead. Butter Chicken ($17) and Palak Panner ($12.90) to accompany our Basmanti Rice ($2.75) and Naan ($3). 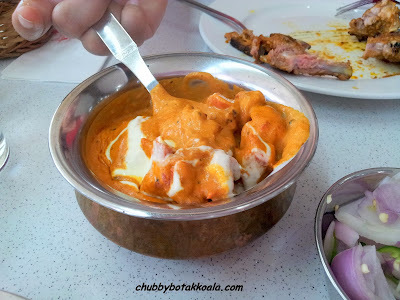 The butter chicken is creamy, rich and the chicken meat is tender. The gravy is just perfect to accompany the rice. 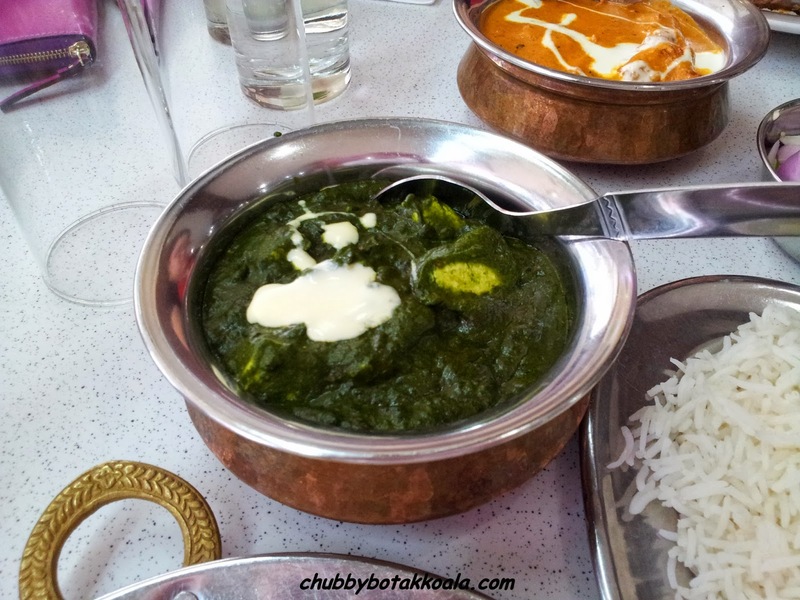 The Palak Paneer is thick, not blend to total smoothness, while the cheese provide a more condensed texture. It feels nice and healthy :). How to judge if the food is good? Basically I finished 3/4 of the rice served and LD is enjoying her Naan with the dishes above. The naan is fluffy and moist. 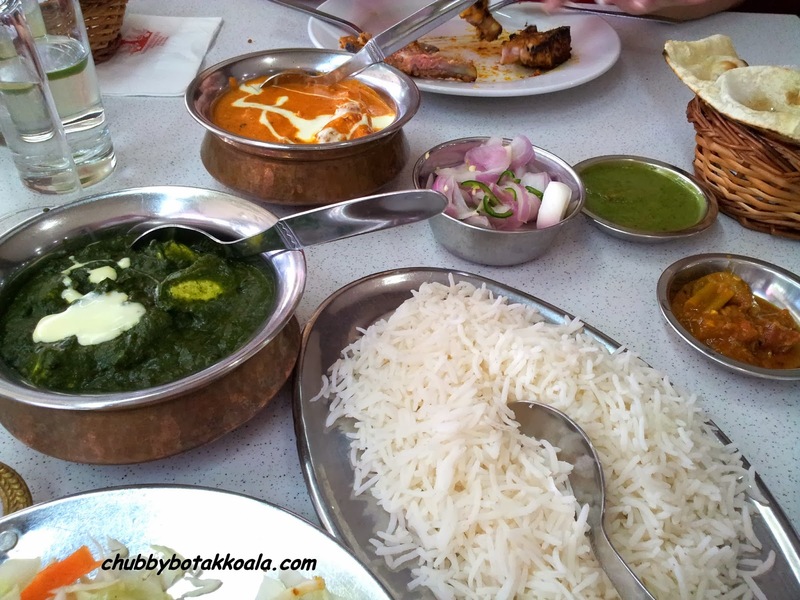 The restaurant is very spacious and there is buffet during breakfast, lunch or dinner. We were there after 2pm, and not many customers around. The service is attentive and friendly. Pricing wise, it is more expensive that other North Indian Restaurant that we've been while the servings size quite similar. 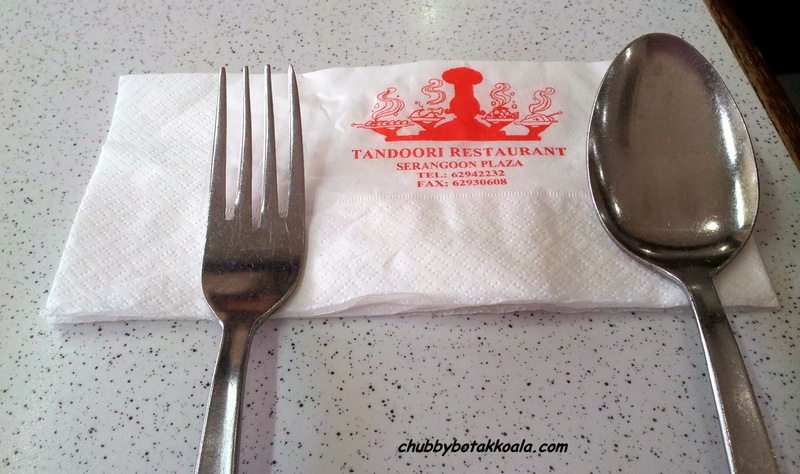 Overall, Tandoori Restaurant provide a delicious North Indian food. Skip the “Lamb Chop” focus on other dishes. If you decided to take a break from shopping in Mustafa or nearby the location, do give this place a try. Cheers! !